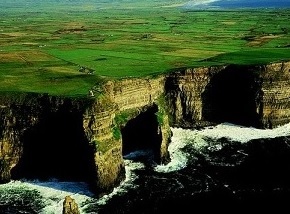 The Republic of Ireland is an island in the North Atlantic, with a population of 4.8 million. Nestled in the heart of the country is a haven of picturesque villages, stunning tracks, trails and waterways and brilliant bars and restaurants. 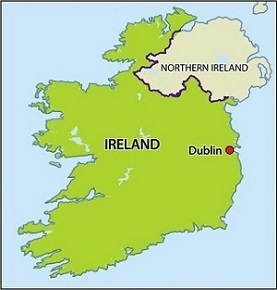 Ireland has been a member state of the European Union since 1973. Permanent Residency under the Irish Immigrant Investor programme grants the right to travel within the EU with minimal visa requirements and may be considered to be the first step towards gaining Irish Citizenship. The main objectives of the Irish Immigrant Investor Programme is job creation and facilitating Irish economic development. 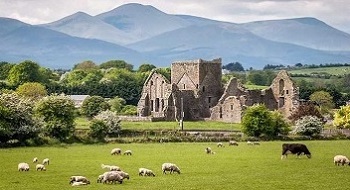 In 2019, High Net Worth Individuals can apply for the Irish Permanent Residency permit through investment in a qualifying investment project. 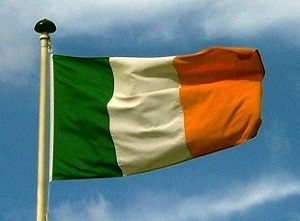 Apply for the Irish Golden Visa Residence Programme and seek Ireland Immigration assistance Now! In 2012, the Immigrant Investor Programme (IIP) was introduced by the Irish Government to encourage inward investment for the creation of business and employment opportunities in the State. The IIP is designed to encourage investors and business professionals from outside the European Economic Area (EEA) to avail of opportunities of investing and locating their business interests in Ireland and acquire a secure residency status in Ireland. 1. Enterprise Investment - â‚¬1 million for 4 year investment term. Investment monies are invested through a Project approved by the Irish Naturalisation and Immigration Service (INIS) Investment monies are invested through the project against a secured property up to 90% Loan to Value. 2. Investment Fund - â‚¬1 million invested in an approved investment fund for 3 years (approved and regulated by the Central Bank). Investment monies are not secured on assets and are subject to investment performance. 3. Real Estate Investment Trusts (REIT) â‚¬2 million invested in any Irish REIT that is listed on the Irish Stock Exchange for at least 3 year term. 4. Endowment - A minimum â‚¬500,000 philanthropic donation to a project which is of public benefit to the arts, sports, health, culture or education in Ireland. A. High Net Worth Individuals - Applicants must be high net worth individuals, with a personal wealth of at least â‚¬2 million, and disclose in full the source of their funds. B. Due Diligence - All applications will be subject to enhanced levels of due diligence processes in respect of anti-money laundering, Know Your Client, Politically Exposed Persons, sanction checks, and data sharing in accordance with the OECD common reporting standard. C. Character - All applicants, as well as their nominated family members over the age of 16 must submit their application with a statement of character from the police authorities of each country in which they have resided for more than six months during the 10-year period prior to making an application. D. Family - A non EEA national may apply under the IIP for permission for themselves and their spouse/civil partner and children under the age of 18 to reside in the State. Dependent children between the ages of 18 and 24 may also be considered if they are in full time education. Irish Law Firm - We partner with experienced and specialised Irish Lawyers, working in reputable independent Ireland Law firms, who can assist with the Contract between the Project company and the Investor, and transfer of the investment to the Irish Lawyers' client account. European Union (EU) - Visa Free travel within European countries for non-EU nationalities. Member of the European Union since 1973 and uses the Euro currency since 1999 - access to 500 million people in Europe. Business Centre of Europe - European Headquarters of large corporates: Google, PayPal, LinkedIn, Facebook and Microsoft. Ireland is the largest exporter of computer software in the world, and one of the top 10 most innovative countries globally. Also, 9 out of 10 Pharmaceutical companies are based in Ireland, including Pfizer and Novartis. Investment Centre - Forbes Magazine has ranked Ireland as one of the best countries for business - multinationals and startups, as well as the 'Best country in Western Europe to invest'. Ireland has become a hub for foreign direct investment, and is ranked as 1st in the world for investment incentives. Economic Growth - The Irish economy grew by 6.6% in 2017. In addition, Ireland is one of the top countries in the world for GDP growth. Lifestyle - Temperate climate, beautiful terrain, historic castles, walks, and fresh un-polluted air. Healthcare system - Excellent health care resources. For the purpose of the IIP, you must have private health insurance. 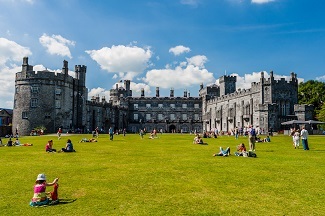 World class Education system - There are seven public universities in Ireland, which rank highly on an international level, including Trinity College, Dublin (Ranked as number 1 University in Europe for educating and producing Entrepreneurs), and University College, Dublin. Safe Country and Central Location - Friendly people, multi-ethnic environment, and suitable place for family life. Situated in Europe and within 1 - 2 hours flight of many European countries. English Speaking Country - English is an official language, the Legal system is based on the British Common law and the government is a Constitutional Democracy. Dublin - The capital city of Ireland is Dublin, and it has excellent pubs, fine architecture and good shopping. 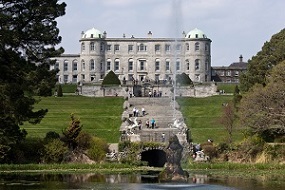 Dublin is a very popular tourist destination and is the fourth most visited European capital. 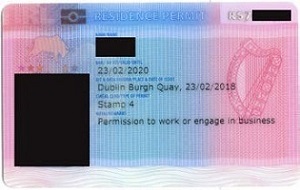 Fast Processing Time - The Irish Evaluation Committee processes a Permanent Residency application with 3 - 4 months. Easy Residence Requirements - The applicant must spend only a minimum of 1 day per calendar year in Ireland. 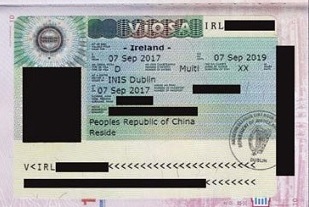 Chinese Residents - Ireland is home to circa 35,000 Chinese families and 10,000 Chinese students (Source: Chinese Embassy Ireland). 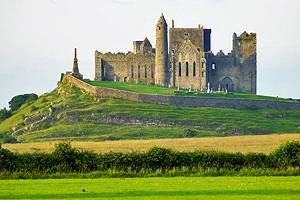 Irish Culture - The Irish have a rich culture and tradition, which is multi-faceted, and comprises Music, Dance, Art, Literature, Poetry, Folklore, Cuisine and Sports. Corporate Tax Rate - Low 12.5% corporation tax rate, which is half the OECD average of 24.9%. Irish Citizenship and Passport Eligibility - As an Irish Permanent Resident, you have the right, subject to meeting conditions, to apply for Irish Citizenship and an Irish passport following your physical presence in Ireland for a total of 5 years within an 8 year period. Project Emerald is a niche non-bank lending project, providing secured term loans to qualifying Irish SMEs (Small & Medium Enterprises) who in turn can demonstrate that they have a proven track record in generating profits to service and repay the debt. Project Emerald has an experienced and capable Banking Team with over 100 years of combined banking experience through every economic cycle and with track records in lending to Irish SMEs. They also have a strong network of relationships both direct and through professional intermediaries, the latter being the primary source of origination and route to market for SME loans under Project Emerald. 1. Minimum Investment Amount - â‚¬1m (Note: Monies do not have to be transferred until an application is approved by the Irish Naturalisation and Immigration Service). 2. Use of Investment Funds - Monies invested in Project Emerald will be lent to Irish SMEs on secured term loans. 3. Security of Investment Funds Project Emerald assigns property-backed security to the Investors for the Investment Term. Project Emerald at a Loan To Value (LTV) of no more than 90% provides Investors security over a property, thereby securing Investorâ€™s Funds (â‚¬1m). 4. Term of Investment - 4 Years. 5. Return on Investment - 0% per annum. 6. Recouping Investment - After 4 years an Investorâ€™s funds are projected to be returned within 12 weeks of the Investor calling on the funds. 7. No Language skills and Qualifications required - This Immigrant Investor Programme has no English language skills or qualification requirements. In addition, The immigrant investor does not require business management experience.